Ok, we all like to try and predict the future right? Get our crystal ball out and state what is about to happen, state the way that things are going, and predict the trends for next year? Well despite time travel mindset being a very real thing, we can’t actually know for sure what will happen. 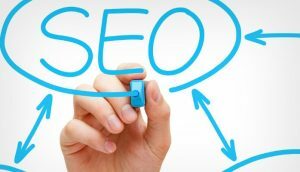 If you know anything about SEO you will know that while many things change, many things also stay the same – the core fundamentals. But it’s the nuances that sometimes trip people up. SEO is essentially in two parts – on page SEO and off page SEO. Google states well over 200 factors influence where they will rank a site for any given keyword phrase…. but out of all of those factors, usually, just a handful can make a huge difference. We reveal our predictions for SEO trends of 2017, on the 1st May. Check back on that day or fall behind!